I think so, and I’m going to give it a try! I especially like that this challenge encourages us to share what makes us happy with others. 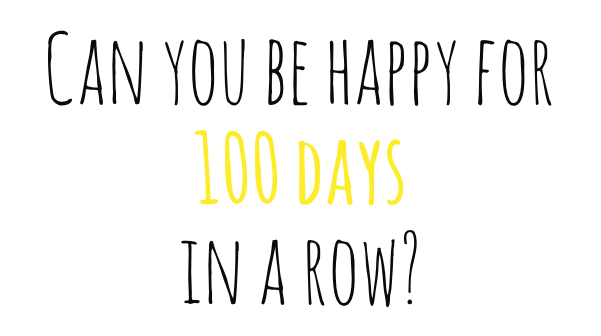 To find out more, visit this link: http://100happydays.com and start sharing your happy! < Previous We’re Going to Turn Into Pumpkins!